First off, congratulations are in order if you are an author who has made it this far – getting your book published. Be it independently or traditionally, this certainly was no easy feat to accomplish. I trust a sigh of relief plus a good pat on the back were not too far behind upon reaching your published fait accompli. What could be sweeter? We’ll get to that just a little later. Consider how, like writing your manuscript, getting your book to appear in print happened by no simpler measure. Remember how you felt when that day finally came? The exhilaration you must have felt when you were able to see and hold the first actual printed copy of your book – as if it were a newborn baby – your newborn. Further considering the labor pains it took to even deliver your first published work, for some of you perhaps felt more like giving birth to triplets. Sound familiar? If this semblance of a flashback to publishing nirvana is hitting home for you, then do not pass – go! Unlike a proud new mother who just gave birth with hopes of seeing healthy movement from her baby, it is up to the author to create ANY movement with their baby – their book! This particularly holds true in the beginning upon a book’s initial release. A critical period for any newly available book that goes to market. This is the time when authors should recognize, consider and understand the significant value of promotion, aka PR (Public Relations) – the big brother in the pecking echelon of marketing. Next to PR, the other components making up today’s long arm of marketing include – sales, distribution, advertising, social media, blogs, viral videos, etc. (virtually as infinite as your creativity can take you, your book). These primary areas are among the collective ‘workings’ of the marketing machine. The PR route will apply to you only if you are interested in having media – as in journalists – talk about your book as part of their ‘editorial’ coverage. This would also include radio and television bookings for interviews. This is where your publicist will be instrumental in cultivating the media landscape and making those connections for you. Yes, there is tremendous value in PR – an integral ‘platform builder’ for your book (also a further source of support for the other facets of marketing, as they come into play). You will continue to note, marketing as a whole is quite complex. With much to consider, you will have the opportunity to pick your ‘positioning’ battles and ultimate methods for promoting your book. How you attempt to achieve a high-profile presence is certainly up to you. The good news, and of further note – there is no shortage of marketing options. The main focus of this article, however, is on Public Relations/PR. Not the other components of marketing, although they can work in tandem with each other, as part of a joint effort to achieve the cumulative success of a book campaign (of which there are many layers). For those less familiar, if you are an author looking to establish recognition in the publishing arena, particularly through editorial media coverage, I would recommend you become more familiar with the function of a PR professional (a publicist) – either for your current book, and/or possible future releases. Explore how they can become your book’s fiercest marketing ally. Should you choose to consider a publicist’s role through the vital span of your book’s life (the timely period when it is fresh off the presses and the most relevant), you will realize their integral input through a course of primary efforts which begin with the development of a well thought out plan. Your book campaign. This is the process through which will help to leverage your book’s most competitive edge, turn it into a powerful marketing message, and deliver it to the appropriate book trade and consumer sectors. The power of promotion and generating the desired publicity (the by-product of a PR effort), begins with building a solid strategic BUZZ about your book. Your publicist will strive to create and maximize public awareness through a series of efforts – including but not limited to – pursuing key media placements (stories, interviews, reviews, and other possible breaks). This media outreach, in turn and accumulatively over time, will help to fuel further public awareness – the golden ticket behind book sales. Awareness. Get it, hold on to it, and ride it for all it’s worth. You do… and you will find it is worth a lot. The name of the game is being ‘buzz’ savvy and perpetuating its play in your book’s life. Further consider, without a publicist’s expert launch of your book (touting its official ‘release’), it might as well be sitting in a drawer with little or no public action. Imagine… no movement. The kiss of death for a hapless book. Movement, in publishing-speak, signifies sales activity on a book. Movement could also indicate any media activity (coverage) on your book, helping to enhance its positioning in the public eye. All things considered, movement is chiefly reflected through any kind of forward-moving activity on your book. For some of you, having already gone through the exercise of possibly realizing your book was not going to make it, then perhaps those ‘drawer pangs’ may have hit home a little too close for comfort. Why take a chance on going there, if you don’t have to? Enter your PR dragon to breathe life and hope into your next book release. So let’s get a little deep on the whole concept of releases so you, as an author, will truly comprehend the significance and scope of what officially ‘releasing’ your next book entails. This goes well beyond your book appearing on Amazon (as you more seasoned authors may know by now). First off, a release is about all you could possibly imagine would go into that event… it’s an event. The proud occasion to be celebrated, revered – and depending on your ‘release barometer’ – pomp and circumstance notwithstanding. Don’t worry about having your own readily equipped P&C good to go. This is where your publicist comes in, P&C in tow, to be revealed in the form of strategic media announcements and further outreach. Budget permitting for some authors, this could also include a book release party. After all, this is the premiere of your book! With the help and pro coordination of your publicist, you could get real creative in pulling off a fun and memorable event that reflects the theme of your book. In this overall effort, as releases go, the idea is to formally introduce your book; making its official bow as a new commercial product available for public interest and consumption. This includes further official mention of breaking developments surrounding your book, as they may tie in with the timing of your book release – to make it an even bigger announcement and overall story. If you opt not to do the release party, your publicist’s strategic outreach will still create the idea of an ‘event,’ a special occasion, through their generated literature on behalf of your book to be fed to the critical mass. Whether you have written the next fantasy mega-franchise or a romance novel, without endeavoring to beam the media spotlight on your published work, how would you expect to push it to the next level (movement), and as importantly, enhance its petitioning power in the competitive book market? Your book deserves no less effort, like you need no further reminding about all the time and energy you put into it – from the writing, to the publishing. If you are an author gearing to come out with a new book, be mindful of the primary time to go public with your release and, if you can, avoid puttering mid-stream. No one can tell for certain how the market is going to respond to any new book that enters the fold. All an author can do is give their book the best possible PR push. After that only time will tell. 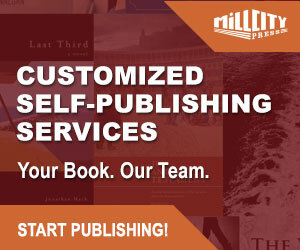 Consider if you are planning to publish your book in the next month or two, then now would be a crucial time for you to start creating advance press awareness – publicity – to ideally coincide with your book’s scheduled release date. This tactic should be at the top of your agenda. Remember when it comes to marketing, timing is everything. Either you are at one with it (and time is on your side), or you could miss it altogether – your book’s key window of opportunity. In considering the critical ‘launch’ elements to go into your upcoming book release, it is important to first set the stage – your media platform as facilitated through your publicist. This effort will help spin the ‘awareness’ wheels in motion and, advantageously, well in advance for the fullest benefit of your book. For example: If your book is a romance and you are looking to capitalize on the timing of Valentine’s Day (a major occasion given your book genre), of course the idea is to give yourself ample time to build and maximize media awareness so any anticipated publicity will coincide with this key time of year for your book. In other words, don’t take a chance on doing your book a disservice by only starting with your ‘news’ the same week of Valentine’s Day. Unless you don’t mind uphill battles, why go there? Your best window to ‘come out’ is at least several weeks in advance of your scheduled release date, or a select Holiday or occasion which makes timely newsworthy sense to tie in with the topic of your book. With an eye potentially toward Valentine’s Day, your publicity efforts would be best served if started in the previous November (December may be cutting it close). The idea being, you want to maximize the media coverage on your book, not decrease its chances at further exposure by working within a tight timeframe. Your publicist will be helping to plan and implement your media outreach, so don’t fret too much over the details at this point. The one detail, however, you may want to be concerned with (and this is something you will need to think about from the beginning), is that of TIMING. Only upon making this critical decision will everything else start to fall into place for the opportune release of your book. In the big scheme of publicity (from your PR launch, to the ensuing media coverage), you will want to treat ‘timing’ like your book’s new BFF. Think of it as the ‘big’ in ‘scheme.’ After all, what value does any plan have without a timely schedule to set its course? Alternatively, should you decide to go it alone on promoting your book (without the professional help of a publicist), then might be a good time to fret over the details – as you are bound to discover, perhaps more than you bargained for. The trenches of marketing aren’t called ‘trenches’ for no reason. Many published authors are realizing, particularly the newbies – for all their sweat equity put into completing their books – when it comes to ‘what’s next’ (going from manuscript to published copy), the foregone conclusion is obvious. The real work has only just begun. All things considered, as you look back at your personal writing process, your journey, this part should appear comparatively easy by now. Not too far behind should be also the realization of your newest task and challenge: promoting your book. It’s either doing the work – think exposure – or remember those ‘drawer pangs’…? Why go there (again, for some of you)? For your published life to truly take off, it comes down to getting your book to go well beyond your hands, to being exposed before the ‘public eye.’ That’s it, plain and simple. For you lucky ones, this could mean millions of eyeballs. When you can accomplish that much, and on your own, then take a bow (you also wouldn’t have much need for this article). If this means you, then in your fortunate wisdom you have managed to master the fine art of marketing integral to your book’s success. What it all really boils up to. The reality for most authors, however, is they are not able to reach this pinnacle alone. In achieving critical mass awareness, in no short order, can this be attained without the help of a publicist. Look at them as your book catalyst on active duty, to be reflected through a number of creative tactics they will implement on your behalf. 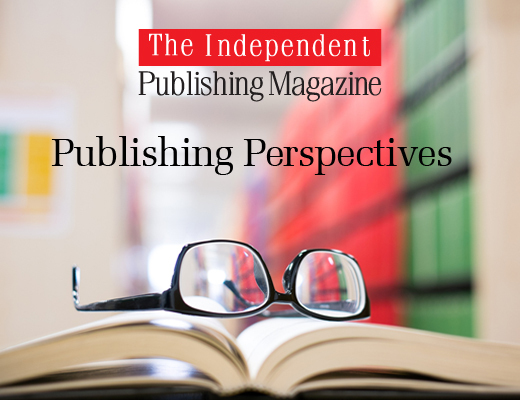 In their effort to create a national platform for your book, a publicist’s outreach includes all right-fit opportunities based on your genre, your ‘story’ – from obtaining media coverage, to exploring cross-promotional prospects that make sense. While the PR/marketing process is indeed all that – a process (and not an overnight thing) – consider the media momentum on your book, developed accumulatively over time, will help serve as your strategic springboard into other marketing areas of interest. Think, ancillary markets: the beyond-press avenues which should also be on your marketing radar. These ‘other platforms,’ if you can get your book in, are certain to be of further tactical advantage to you. The idea here is to enhance your book’s positioning and core market presence (going from original book, to successful commercial brand). This of course would be the perfect scenario and outcome for any author, whether their book is fiction or non-fiction. For example, if you wrote a children’s book, an ideal crossover alliance/‘tie-in’ would be with a toy company. Perpetuating this effort with other strategic alliances will help to further boost your book’s main reach and market saturation (which could further include corporate sponsorships that make sense for everyone). Circumstances permitting with your new-found strategic partner, remember once that new relationship is in place, you both will have an opportunity to get as creative with each other as may be mutually agreed. In this case, your publicist (and communications liaison), would be working out all the details for the ‘promotional’ benefit of your book. It is good to be aware, as every publicist works differently, that levels of focus and expertise may vary from publicist to publicist. You may find one publicist who only focuses on book press, and that’s it. Alternatively, you may also find the quintessential ‘no limit’ publicist who does it all – in an effort to maximize their author client’s opportunity pool, if you will. This publicist has expanded their reach to go beyond just media by providing a full-scale service, which includes crossover outreach for the books they represent. Based on their specialty and level of expertise, this how one publicist will differ from another. Further consider how a publicist with also a Hollywood background (doing both book and entertainment representation), would be of further advantage to your book for the obvious reasons. Given their expertise in both arenas, you can see how their ‘dual specialty’ and creative style could lead to a Hollywood entrée for your book’s potential adaptation interest. If your book genre would make excellent Hollywood fodder, as favored by some producers, then why not also try to create some awareness in the ‘biz,’ as it makes sense? In the meantime, here’s a fun quiz… Is “Chicken Soup for the Soul” a book, a brand, or a franchise? When you consider how one ‘identity’ fuels the next (through concerted PR/ marketing efforts to take a book to the next level), you will better understand where I am going with this whole topic and why it should matter to your book, particularly in the big picture of publishing… marketing. If an author is thinking ‘franchise’ for their book(s), this is another good reason to consider a publicist – particularly for the added value they will provide, helping to facilitate an author’s strategic path to commercial success and, ultimately, to lead them well beyond ‘book one.’ What every career author wants. Through your published life you will come to truly understand the significance of creating media awareness for your book (if you haven’t already), as therein lies the key ingredient for reaching the critical mass, and building a future fan base – your readers. On the other side of the cultivated media momentum, the ultimate big prize would be reflected through book sales (the anticipated end result from consistent PR outreach). Bear in mind, the effectiveness of a publicist’s services is cumulative, so the longer their ‘thrust’ remains in effect, the greater the likelihood of success on a given campaign. The next time you wonder, ‘how do books become bestsellers (and brands in their own right),’ you will have a better understanding of how the world got wind of their availability – much ado with a PR dragon, steady as they blow in their appeal to media. Remember, creating awareness of your book goes well beyond contact with your inner circle of family and friends (that kind of limited outreach will do little else to impact the desired ‘movement’ on your book). Like any baby, your book – particularly at its infancy – is not going to nurture and foster its own growth. If you are just sitting back with the hope that people will just happen to come across it – I think I hear your ‘baby’ crying. The best thing you can do when releasing a book is give it its proper ‘release,’ by professional standards. Get a publicist on board to help put out ‘the word,’ yes the BUZZ, so your book will have a good chance to move beyond its initial crawling stage to a nice steady walk, and build, one forward-taking step at a time. For books are more than books, they are the life, the very heart and core of ages past. The reason why men lived, and worked, and died, the essence and quintessence of their lives. Consider the first big step most seasoned authors take to proactively carve out a piece of the market pie for their book. It typically starts with hiring a publicist – an author’s best ‘pot stirrer’ with media for creating public awareness of their new release. Taking this route, as discussed above, will essentially help to establish an author’s market presence. As for spotting those who have publicists, this is no hard task. They are the ones with book reviews, articles, radio and television interviews – as you may have come across over time. But no time to fret or be envious. Join the club instead! Remember, ‘media play’ doesn’t just happen on its own. This activity is usually catalyzed through the handy work of a publicist. This is not to say that media breaks can’t be garnered single-handedly by some savvy author, however such talent is few and far between, if not rare at best. One of the primary functions of a publicist is creating a compelling ‘spin’ (and packaging) to illustrate to the media and consumers alike why they should care about your book and, as importantly, want to pick it up! This is how your publicist will start to achieve market awareness for your book. That’s basically it, and by no simple measure. Again, for the effectiveness of a campaign to be cumulative it has to be conducted with consistency over a widespread period of time. For new books, you will want to allow a minimum of six months to start to create the anticipated media momentum on your book (any less time spent promoting your book would be lessening its potential). In the instance of the suggested timeframe, you will be able to fairly gauge how receptive the media and public will be to your book. What is the general ‘pulse/read/feel’…? That answer to be determined over ample time. It is further important to stress there are no guarantees when a publicist performs ‘media prospecting’ efforts on behalf of a client. In other words, because a publicist sends out your book’s information to a member of media as part of their pitch, does not guarantee that particular media is going to respond in kind with the anticipated interest. This is the no guarantee part. When starting a campaign it is important for an author to understand not only the work of PR, but how it works (including what is outside a publicist’s control), as there is no foreseeable way to guarantee a media pitch will manifest into the desired coverage on a book. It will take more of this result and, repeated over time, with other media interested in covering your book as well. This is how your publicist will start to build the desired momentum and, essentially, how the process will continue to unfold (why this is not an overnight thing). If you have ever tried pitching your book to media or booksellers, before giving a publicist a thought, you already must have a first-hand understanding of this ‘chase.’ Not an easy task. However through a publicist’s professional efforts (respectfully, in lieu of yours), you will find ‘staying the course’ with their diligent outreach will help to enhance a campaign’s potential for success. Again, every campaign is different, as is every indeterminable outcome. Given an author’s stake already into their book, going from manuscript to published copy, they should consider that bringing a publicist on board could be part of that stake. When you think about it, an author is on their own to start upon publishing their book. If they choose to stay solo (without a publicist), this endeavor may alternatively prove to be more than they bargained for. Just ask any author you know who has gone this route, alone (may even be yourself, at some point in your published experience). 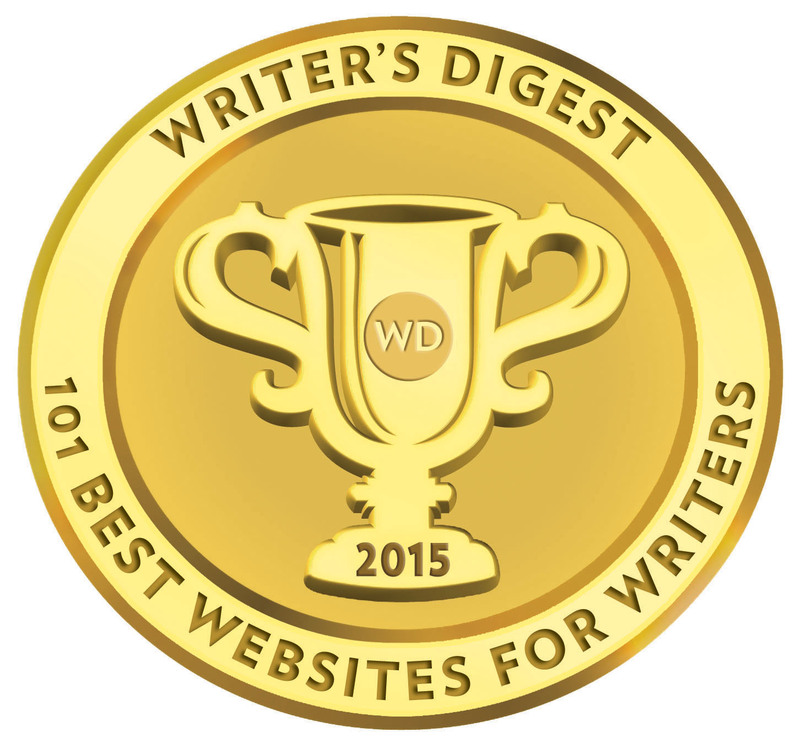 For any author, the challenge remains: Going it alone? Or, taking a chance on PR? Here is a simple recap for reaching your objective with professional book publicity efforts: The publicist targets the anticipated media coverage. The ensuing media breaks start to create public awareness which in turn, and cumulatively, will ultimately help to impact sales. This is essentially the initial-thrust process and, as you are starting to see, far from being an overnight one. It will take concerted time and effort for a campaign to build steam, particularly between the media targeting and saturation effort of your publicist. Unless you feel you can handle your own book marketing without a hitch, then congratulations on recognizing what you can and cannot do for yourself. For your book. Sure you wrote your book by yourself. So why can’t you also promote it by yourself? Plain and simply, these are two different ballgames of which only one you can really do alone. In the course of your experience as an author, and recognizing what it’s going to take to ‘move’ your book – if you can avoid adding to your first-hand reality checks along the way, why would you not want to, particularly while you’re still ahead? PR help is available to you which could help pave a smoother way for your book. This is certainly your prerogative. Also consider, for those of you with regular jobs (until your book takes off), while you are toiling at work, how many hours and how many days are passing by as your beautiful published book possibly just sits there (clicking its heels three times hoping to get lucky)…? Tany Soussana is a veteran literary and entertainment publicist whose roots in PR stem from her longtime tenure at the prestigious firm, Rogers & Cowan. She went from working in the company’s Motion Picture Group and Personalities Unit to running the Literary Unit – being responsible for its start-up as a result of her unprecedented, successful campaign for the diet mega-bestseller, The Zone. As a further result of her work, a whole new boom in books started being enjoyed by the company, predominantly recognized for its clout in entertainment. Upon leaving Rogers & Cowan, she opened her Los Angeles-based PR company, The Soussana Group, where she has continued to represent a mix or clients in the realm of publishing and entertainment – among a broad spectrum of industry platforms she further supports. Soussana’s panache for unlimited outreach serves as added value for her clients. 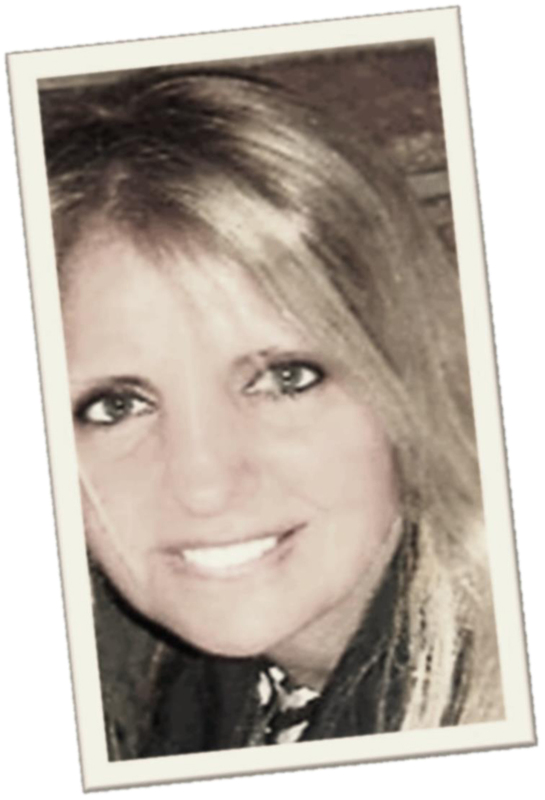 She is best recognized for her diverse, cutting edge PR and marketing capabilities with a specialty emphasis in the Arts. Her combined literary/entertainment background and creative style bring a special edge to represented authors who are looking to crossover their books to the screen – be it film and/or television. Developing an entrée into ancillary markets (such as Hollywood for potential interest) has become Soussana’s signature brand of PR and distinctive representation. To start, perhaps you may care to receive a complementary consultation. This will help to identify an ideal PR platform to best meet your long-range goals. Soussana’s approach is one that is both timely and comprehensive for creating and maximizing your desired publicity impact. Enjoy immediate value from her consultation offer and work together to put your best foot forward, NOW! For those authors with a keen interest in jump-starting their book PR campaign, all queries are invited. 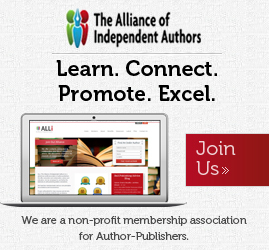 Interested in bringing your book to the next level? For more information, please visit: http://www.TheSoussanaGroup.com. Email tany@thesoussanagroup.com. Or call 800-745-1025.